Please RSVP by registering online or call 439-1039. This FREE informative seminar is held the first Thursday of every month so if you can't make it this Thursday, plan to attend our next seminar on March 3rd! FREE joint replacement seminars this week! If you are interested in learning more about the advancements in hip and knee joint replacement, attend one of the following seminars provided by Texas Orthopedics physicians. 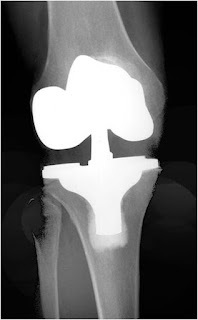 New Advancements in Knee and Hip Replacement: Learn how new techniques, such as the anterior approach to hip replacement, are utilized to spare muscle tissue, providing a quicker recovery. Discover how we are using Computer Assisted Navigation for both hip and knee replacement to provide the least invasive surgical option. If hip or knee pain is keeping you from doing the things you love, find out about the advanced orthopedic treatsments at this seminar. That’s a good New Year’s Resolution. If a bunch of folks could read this and follow it, I’d see a lot less of you because I can predict that I’ll see 2-3 patients every week this year for knee pain related to starting some kind of a squatting exercise program! DO NOT DO SQUATS! Let me emphasize the point. DO NOT DO SQUATS! And learn to recognize deceptive forms of the squat; the deep knee bend, the lunge and its particularly egregious variations, the weighted lunge and especially the forward-moving-weighted-lunge. I don’t know what it is called but I want to put a red circle with a cross hatch on those. Here’s how it works. When you squat you put tremendous pressure on your knee cap since it’s the fulcrum through which you bend and straighten your knee. That puts pressure on the delicate cartilage that lines the knee cap. When you do a deep squat it also put tremendous pressure on the meniscus cartilage (the rubbery shock absorber cartilages between the two bones). 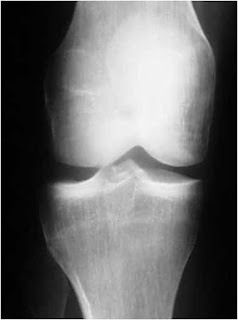 Over a period of time (years for some…one squat for others) that can cause wearing of these delicate and important structures in the knee. Once that happens, arthritis begins to develop. And that can even happen at a young age. In last week’s blog post we used a car tire analogy to help explain arthritis. This post focuses on the basics of diagnosis and treatment alternatives available for people who suffer from the pain, stiffness and loss of function that goes along with arthritis. Diagnosis: Do I have it? Most patients suspect they have arthritis when their joints ache and are stiff in the morning. Frequently their stiffness improves with gentle motion but may come back after they sit still for some time (“gelling” phenomena). Pain often improves with light activity but is usually gets worse later in the day after harder activity, walking long distances or standing for a prolonged time. Over months or years the ability to bend or straighten the joint (“range of motion”) may decrease. 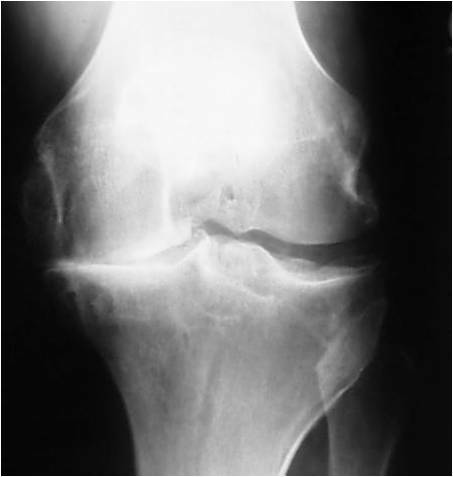 Joints may swell from fluid collecting in the joint or from the growth of bone spurs (osteophytes) as the cartilage wears away. Fingers and knees may become “knobby”. The most important finding is a major decrease in the function of the joint. A simple x-ray is the first diagnostic test to prove arthritis of most joints. X-rays can show the bone spurs and decreased space between the bones that can be found with severe end stage arthritis. Lab studies are rarely needed to diagnose the most common types of arthritis, but blood tests are helpful in diagnosing inflammatory arthritis such as rheumatoid arthritis, lupus, or ankylosing spondylitis. A MRI study is the best diagnostic test for viewing the soft tissue of bones and joints. However, it is an expensive test that is useful only if x-rays don’t make the diagnosis. Treatment: What do I do about it? Experts in arthritis concede that although there is no known cure for arthritis, we can help manage the symptoms. The treatment of arthritis begins with exercise to keep the joint moving and to maintain the strength of the muscles around the joints. Experts in arthritis recommend continuous motion exercise beginning with 15 – 30 minutes each day. Fitness walking, low tension stationary biking, low angle treadmill walking and water aerobics are tolerated well by most patients. Patients are often interested in medications to help manage the pain from arthritis. Acetaminophen (Tylenol) is a pain medicine that is a first choice drug for arthritis because it is available without a prescription and is safe when used at recommended doses. Anti-inflammatory medicines such as ibuprofen (Motrin, Advil) and naproxen (Naprosyn, Aleve) help many patients with arthritis. When exercise and the usual drugs don’t adequately relieve pain, patients are often willing to try more invasive means to help. Cortisone injections have been used for over fifty years and can be a safe and effective way to temporarily reduce pain for most people. Newer injections made with hyaluronic acid are commonly used to decrease the inflammation and pain for knee joints. These shots are sometimes called “chicken shots” because hyaluronic acid is a protein found both in rooster combs and in normal joints. Finally, if x-rays show end stage arthritis and other treatments fail to control symptoms, surgery for arthritis may be necessary. 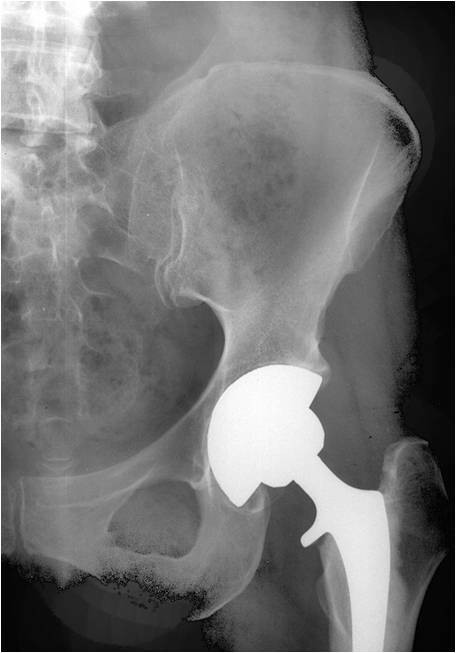 The most common surgery for arthritis is joint replacement (total joint arthroplasty). The procedure involves cutting out the destroyed cartilage and bone then replacing it with metal and plastic parts. Hips and knees are some of the most commonly replaced joints and over 90% of the patients who get them get rid of 90% or more of their arthritis pain and are able to maintain their range of motion and function for 10 to 20 years or more. Treatment for your arthritis depends on the cause of your arthritis, your age, the severity of your symptoms and your willingness to accept the risks of the treatment. When picking a course of travel on new highways, having a good map helps guide your path. The best resources are your family doctor, rheumatologist or orthopedic surgeon. Schedule a visit so they can help get you back on the road! If you have joints that are stiff, painful and have lost mobility, you are probably one of the 46 million Americans who have arthritis. Arthritis is the wearing out of the surface on the end of the bones and affects both large joints (hips, knees and shoulders) and smaller joints in the hand, feet and spine. Arthritis can come from injury and aging as well as specific problems with the soft tissues around the joints. Wherever it is found in the body and whatever causes the damage to the cartilage, it is the painful, swollen, and stiff joints which keep you from being active and moving on down the road. All joints have a smooth white slippery covering called cartilage which acts as the bearing surface for movement. It is where the “rubber hits the road” for the movement of joints. There are over 100 various disorders which cause damage to the cartilage. The most common arthritis, osteoarthritis, results from stresses on cartilage that are greater than the tissue can withstand. This can be routine forces on weakened cartilage or from excess forces on normal cartilage. Researchers have found that an inherited weakness of the main protein in cartilage (collagen) frequently leads to early osteoarthritis. Hormones that help make women’s tissues soft, supple and more flexible for pregnancy may be a reason women have twice the osteoarthritis of men. It is easy to understand how the forces of direct trauma can damage cartilage and its underlying bone. Motor vehicle accidents, falls or severe sports injuries, especially those that tear ligaments, are well known causes of arthritis later in life. Using a tire example, driving recklessly over potholes or across sharp metal objects will clearly tear up your tires! Excess force on the joint over the long term can also wear out healthy cartilage. People with crooked legs from bowlegs or knock-knees or from poorly healed fractures of the leg bones, wear out their cartilage on the high stress side of their joints. People with straight legs can also overload their cartilage with continuous loads that crush their cartilage. Participation in high level sports like soccer and football has also been associated with more frequent arthritis of the hip and knee. Occupations where heavy loads are lifted repeatedly, such as farming and ranching, can also lead to arthritis. Being overweight causes heavy loads across your joints with every step. Obesity is not only a common cause of hip, knee, and ankle arthritis, but it also makes your symptoms worse. Other causes of arthritis are uncommon diseases like rheumatoid arthritis, psoriatic arthritis and lupus. These autoimmune arthritis disorders result when the body’s immune system goes awry and attacks its own cartilage. Using the car tire example, you can think of autoimmune disorders as a bad battery acid leak on the tires where the rubber slowly dissolves away! Treatment for all arthritis is to decrease pain and improve the function. Treatment depends on the cause of your arthritis, your age, the severity of your symptoms and your willingness to accept the risks of the treatment. Avoiding high demand activities, weight loss, gentle exercises, canes or walkers, pills, injections and various surgical procedures can all be effective treatments. Your best resource for the diagnosis and treatment of arthritis is your family doctor who can refer you to a specialist should the need arise.